Today, you can enjoy one of the most spectacular living restorations in all of Polynesia and immerse yourself in Hawaii’s royal heritage. E komo mai! Welcome! 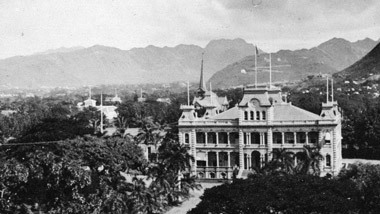 The ticket office is located in the Iolani Barracks on the Palace Grounds. Tickets may be purchased there Monday-Saturday from 8:30 am - 3:45 pm. To make advanced reservations, please call 808-522-0832 or click below to make a reservation online.